I was a Jon Bernthal fan before he burst onto the screen in the fabulously successfully, award-winning first two seasons of AMC's The Walking Dead. He played the tightly wound and fiercely protective former law enforcement officer who helps lead a band of people fighting for survival against hordes of zombies overrunning the human race in a post-apocalyptic world. 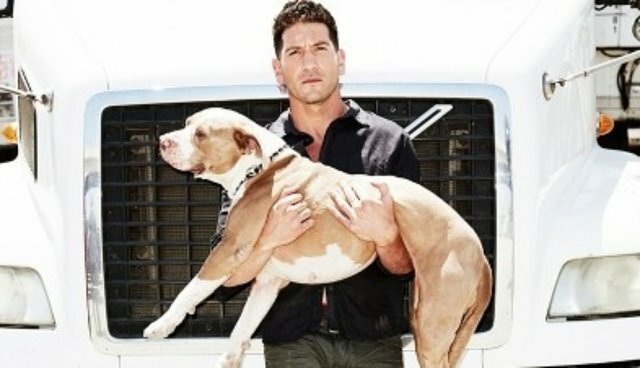 I knew that he was a big animal person, thanks to a tip from his dad, Rick Bernthal, who is the chairman of the board of The HSUS. I met Jon's two dogs, Boss and Venice, at Rick's house and knew of Jon's passionate advocacy for pit bulls and his support for our efforts to crack down on puppy mills, dogfighting and other forms of abuse. Jon and I caught up on Saturday, just before the start of our 60th anniversary gala in Washington, D.C., and talked about his views on animal issues, his animal-loving dad and just a bit about his movies. The gala, hosted by actor Ben Stein and also featuring CNN's Jane Velez-Mitchell, was both inspirational and motivating, and we were so pleased that Jon took the time from his movie making and other activities to join us. Here's the trailer for one of his movies, Fury, with Brad Pitt, due out November 15th across the nation. And here's my interview with him for today's video blog.